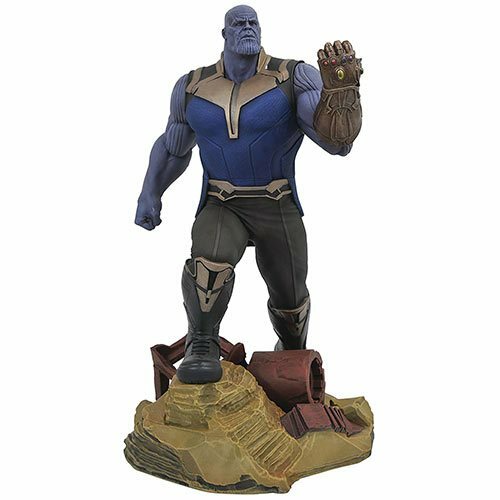 The Marvel Gallery Avengers: Infinity War Thanos Statue features Thanos standing atop a pile of rubble. Featuring detailed sculpting and collectible-quality paint applications, this PVC plastic diorama statue comes packaged in a full-color window box. Ages 14 and up.